How can you use Wireless HDMI in a Business Office? Are you considering installing a flat screen TV on your lobby wall, but the expense and mess of drilling holes and running wires to your Blu-ray player just aren’t for you? Do you already have a beautiful, wall-mounted flat screen TV in your conference room, but those messy cables are dangling down connecting it to your set-top box? You might look into setting up a wireless HDMI kit at your business! With it you can wirelessly stream message boards or video from your media player to your HDTV. Use your TV to display communications about your company, or messages of inspiration, sales goals or sales achievements. A wireless HDMI kit will allow you to wirelessly project up to 4k quality video from your media (PC, Blu-Ray player, set-top box, etc.) 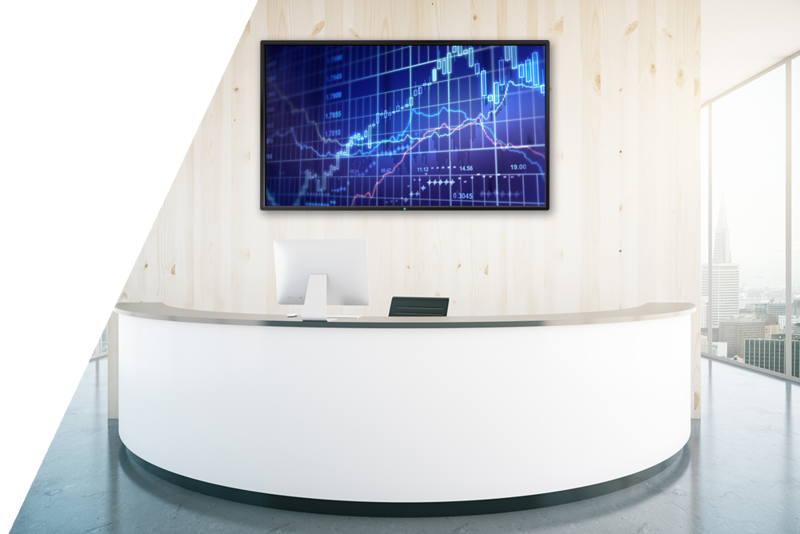 to your HDTV, turning your lobby, cafeteria or conference room into a great viewing experience for your clients and employees. Imagine the clean, professional look a it will create in your office, free from messy cables. A wireless HDMI kit works without Wi-Fi, so streaming video won’t become a burden on your network. A kit comes with a transmitter that connect to your set-top box (or other media device), and a receiver that connects to your TV. The transmitter sends its own strong, point-to-point signal to the receiver within a 150-ft range even through most walls and floors. In other words, you can manage your media device in one room and stream to your TV in another location, whether it is in the office area or waiting room.